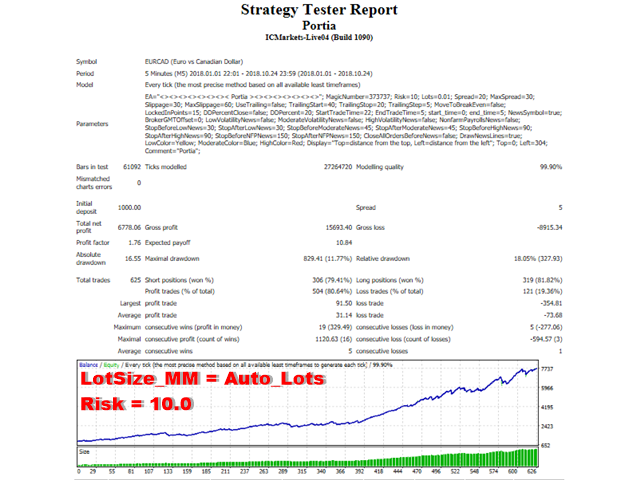 Portia is a fully automated Expert Advisor. 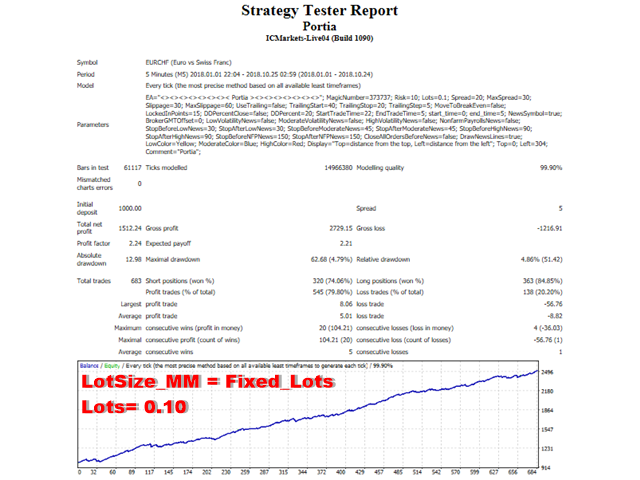 It is based on the scalping strategies. This system is suitable for sideways market and medium trend. The mechanism of this system is based on the principle of mean reversion and momentum of market price. 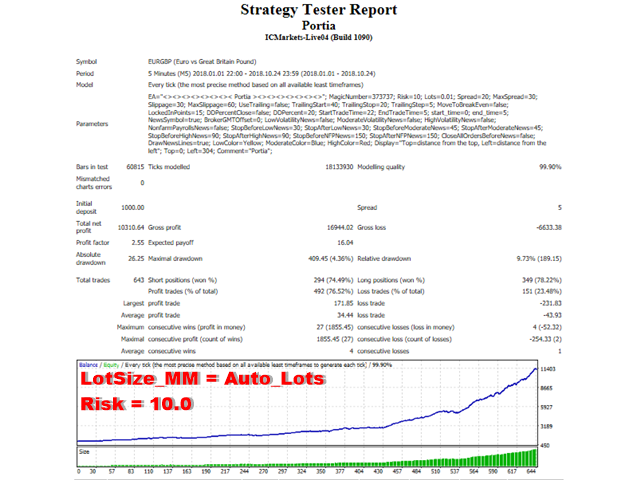 The system automatically adjusts its settings to stop losses and profitability. 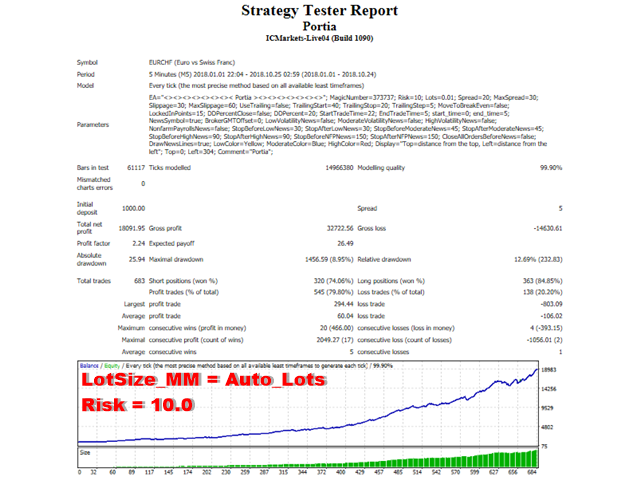 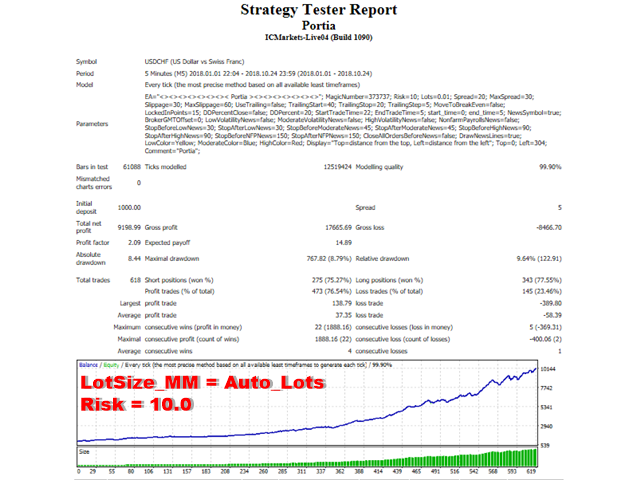 The EA does not use martingale, grids, hedging, averaging and other risky strategies. LotSize_MM - set as " Auto_Lots or Fixed_Lots "
- Added a new parameter: Time_MM - set "Time_Manually/Time_Sessions"